hallo!! Revlie on Nat’s blog. Nat is such a sweetheart, uber talented (talk about Uber Media!) and i am very very happy she welcomes me as a guest blogger on her blog! 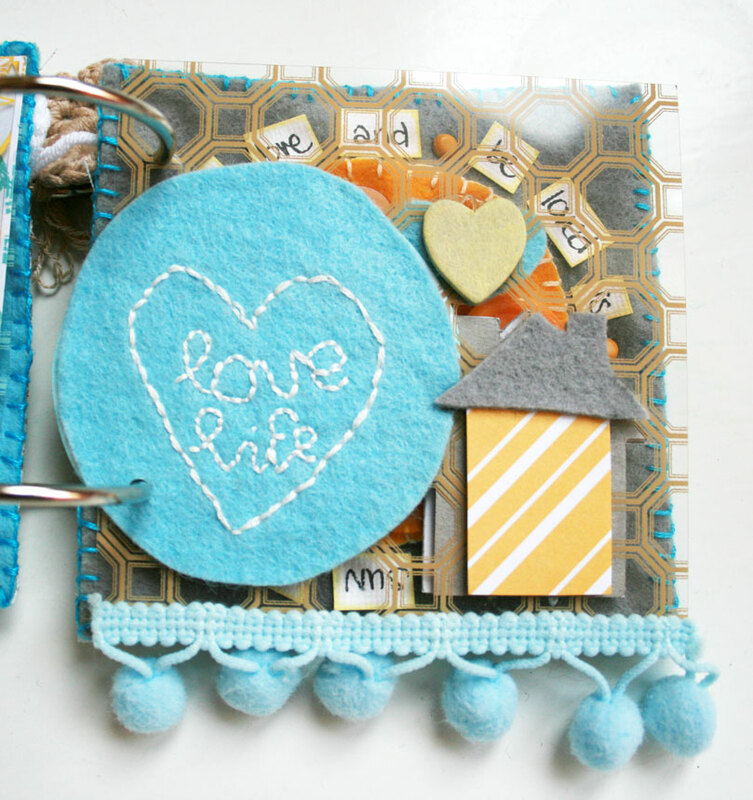 i’m addicted to creating mini-albums and i love using felt, fabric and other not really scrapbook related materials. there are so many lovely ways to use felt, and i just wanted to share a few with you. felt is a cheap material and you can use it in any way you like. 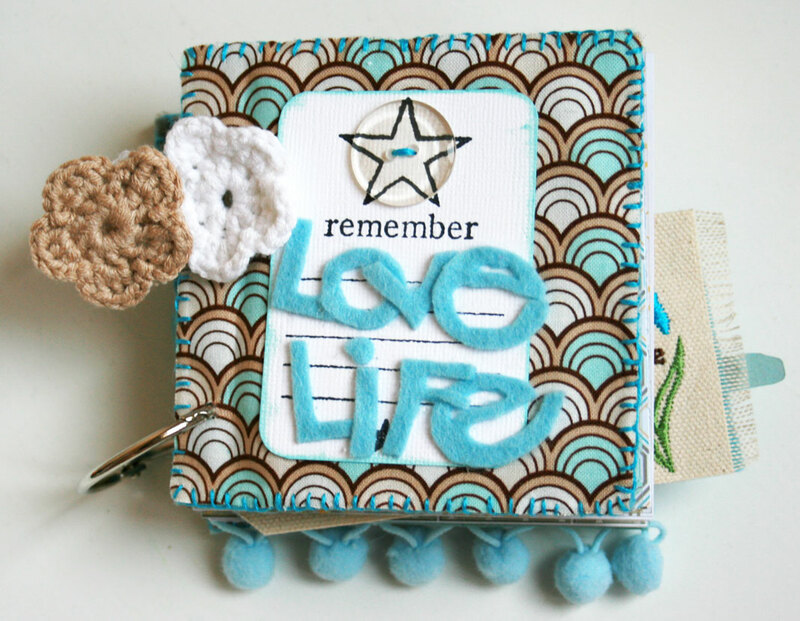 for this mini-album i used felt in numerous ways. first, i started with the title. don’t make it hard on yourself. write with pencil lightly on felt. cut it out with scissors and glue it on. if you need a guide, you can always use chipboard letters as a template or create your title in Word, print it out and use that as a template. 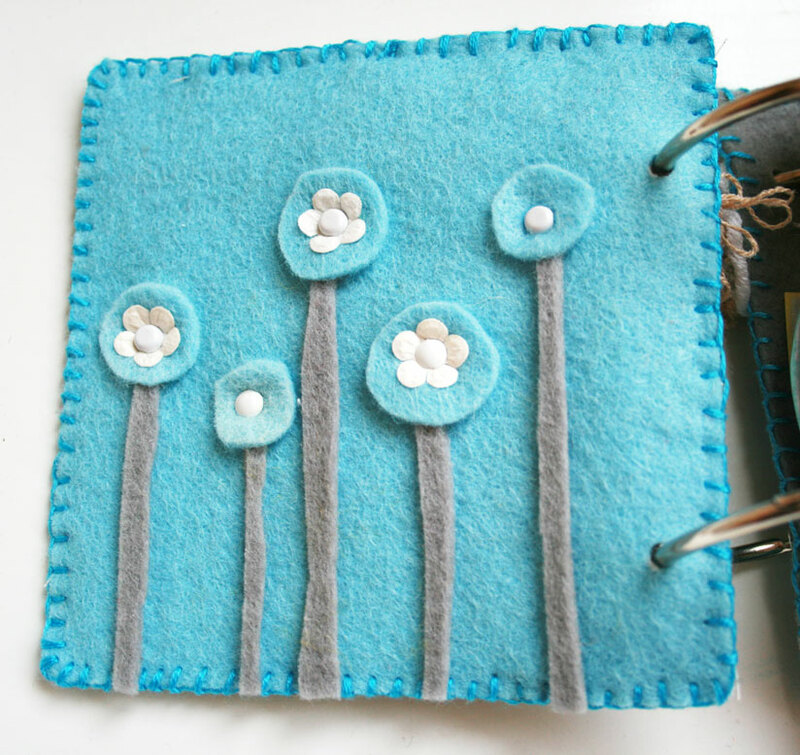 you can use felt as a page. make some cute flowers, simply works perfect for me. and when you use Tacky Glue it really really sticks. use it for creating embellishments. or as a basis for your journaling. embroider sweet words on it. create hearts & houses. really. try. if you’ve used it once, you’ll keep coming back for more! 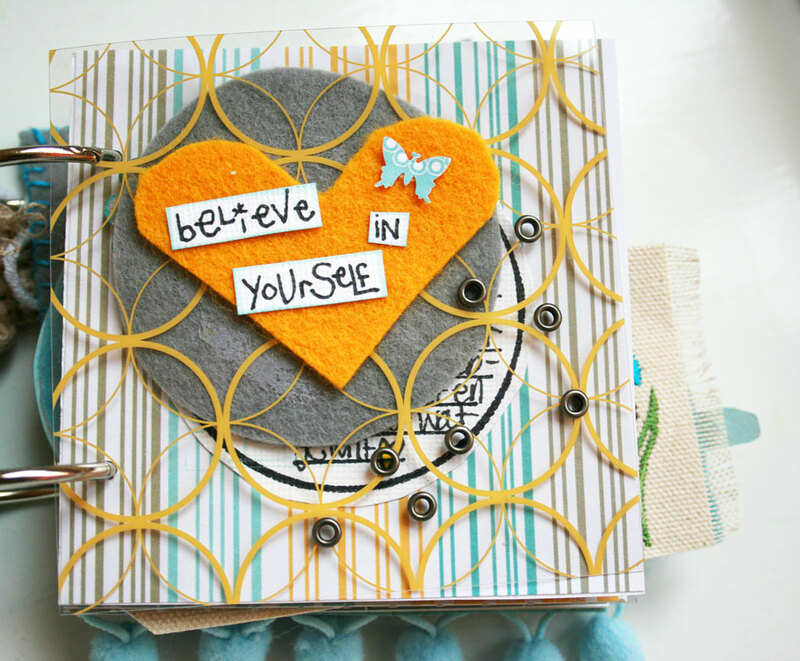 i hope i inspire you just a bit to use some felt in your next creation! and i’ve got a little something-something for you as a loyal reader of Nat’s blog! i write lots of tutorials for creating mini-albums like the one above (Love Life). if you buy one of my tutorials, you get 20% discount! sweet. and mind you: i also have a huge package-deal “the hole shebang” with 40% discount (if you buy all 9 PDF tutorials at once) already. add the 20% discount and you’ve got an uber sweet deal. so come on over, and spoil yourself. Just add this coupon code: NATH2011 at checkout in my Etsy and you are good to GO! Remember: this discount will only last till next Thursday (September 1st 9am CET). life is good. nice meeting you! So cute! love it, love it, love it….. Wonderful mini…now I need some felt. Love the title especially!